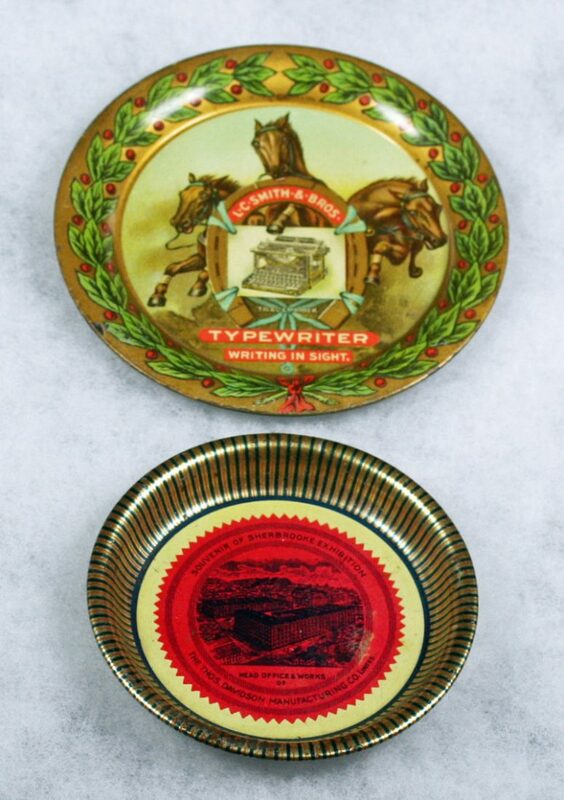 There are only 2 Tip Trays related to typewriters and the tin manufacturers. The most graphic tip tray is the L. C. Smith & Bros. one with 3 galloping horses, the No. 2 typewriter and the Christmas wreath on the border. The second tray is from the Thos. Davidson Mfg. Co., Limited, the largest tin manufacturer in Canada. This tray pictures the head offices and factory. This tray is rarer than the Smith tray.